According to the Ministry of Agriculture and Rural Development (MARD), in the first month of 2018, agriculture, forestry and fishery exports recorded a positive signal when total value was estimated at 3.09 billion USD, increasing 25.9% over the same period of 2017. 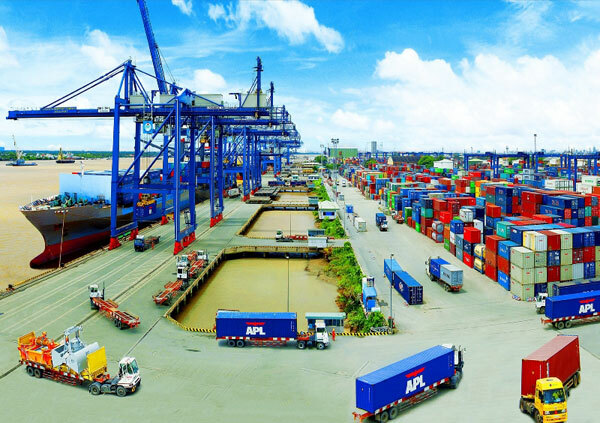 Of which, the export value of main agricultural products was estimated at USD 1.68 billion, increasing by 34.1%; The export value of aquatic products was estimated at $ 560 million, up 15.6% and that of key forest products was estimated at $ 745 million, up 18.5%. Among export agricultural products, rice, rubber, coffee, and cashew nuts, these items increased strongly in both volume and value. Specifically, for rice, exports in 1/2018 is estimated at 524,000 tons with a value of $ 249 million, up 56.5% in volume and up 74.2% in value over the same period in 2017. In 2017, average rice export price reached $ 451.9 per ton, up 0.7% compared with 2016. Coffee export was estimated at 173,000 tonnes valued at $ 338 million, up 24% in volume and up 7% in value. Exports of rubber rose by 181,000 tonnes to reach $ 204 million, up 94.5% in volume and 14% in value. In terms of value and output, cashew nut exports reached 25,000 tonnes worth $ 256 million, up 39.9 percent in volume and 56.5 percent in value over the same period last year. Export volume of cashew nuts in 1/2018 was estimated at 25 thousand tons with a value of $ 256 million, up 39.9% in volume and up 56.5% in value compared to 2016. Cashew nut export price US $ 9,955.1 per tonne in 2017, up 21.5% from 2016. The United States, the Netherlands and China remain the three largest cashew importers of Vietnam, accounting for the market share. were 34.7%, 15.4% and 13.3% of total cashew exports. Meanwhile, pepper exports increased in volume but fell in value. Specifically, the volume of pepper exported in 1/2018 is estimated at 13 thousand tons, valued at 56 million USD, up 59.2% in volume but down 8.9% in value compared to 2016. Pepper prices Average export turnover in 2017 reached $ 5,201.5 per ton, down 35.3 per cent from 2016. The three biggest pepper export markets of Vietnam in 2017 are the United States, India, and the United Arab Emirates. With the market share of 19.8%, 7.1%, and 5.4% respectively. Vegetables are still good growth. Export value of vegetables and fruits in January was estimated at $ 321 million, up nearly 37% over the same period last year. Last year, China, Japan, the United States and South Korea were the top 4 importing markets of the commodity. Vietnamese vegetables and fruits. According to the Ministry of Agriculture and Rural Development, in the domestic market, in January, the price of rice and rice in the provinces of the Mekong Delta less volatile. The rise in coffee prices as a result of global coffee stockpiles tended to fall faster than previously forecast, while domestic coffee growers stocked up unsold goods for higher prices. The price of tea in the domestic market continued to increase slightly due to the demand for raw materials for the processing plant for the upcoming Lunar New Year. In the fishery sector, prices of raw fish in the Mekong Delta remained high as supply remained limited. In addition, the price of shrimp material in the first month of 2018 generally tends to increase compared to the end of 2017 due to consumer demand and raw material demand of the plant increased.